Nike Sock Dart "Tech Fleece"
The Nike Sock Dart gets one of the coziest renditions to date as it’s fused with Nike’s tech fleece concept. Everyone knows how comfortable the Nike Sock Dart already is and when you add tech fleece in the mix, you’ll get one hell of a drop. 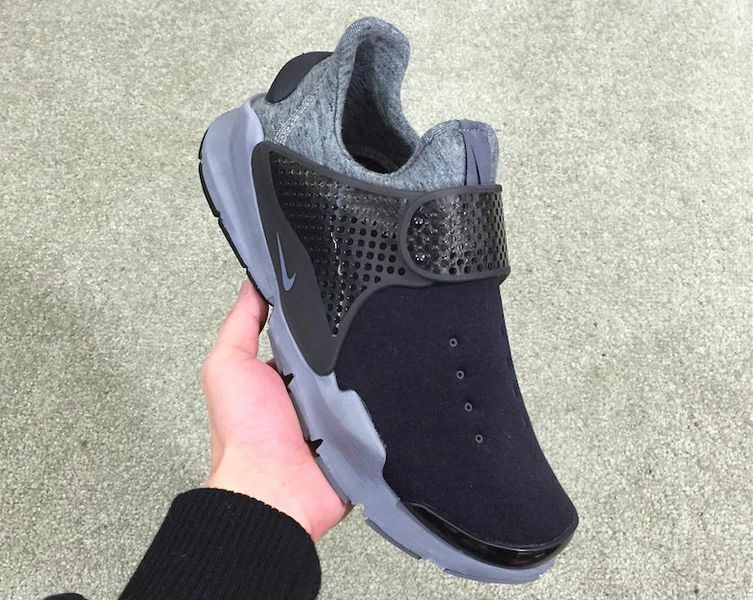 Seen here is the first colorway set to release in 2016, featuring a tech fleece upper. The heel and forefoot are covered in heather grey and black, while a cement grey is slapped on the bottom. A black clear strap tie these up for an awesome colorway. No word on when these will release but stay tuned with Modern Notoriety for more news on the upcoming Tech Fleece Dart.